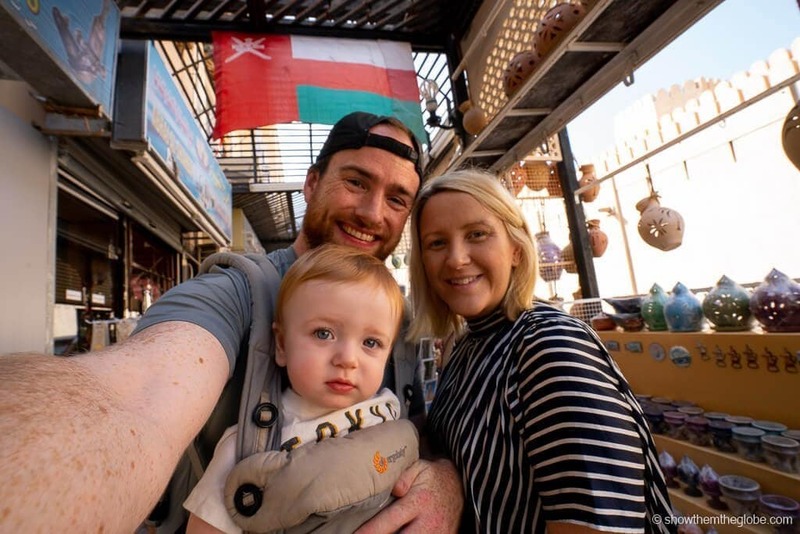 Having recently completed our own amazing two week Oman with kids itinerary we wanted to share our experiences of traveling around Oman as a family. 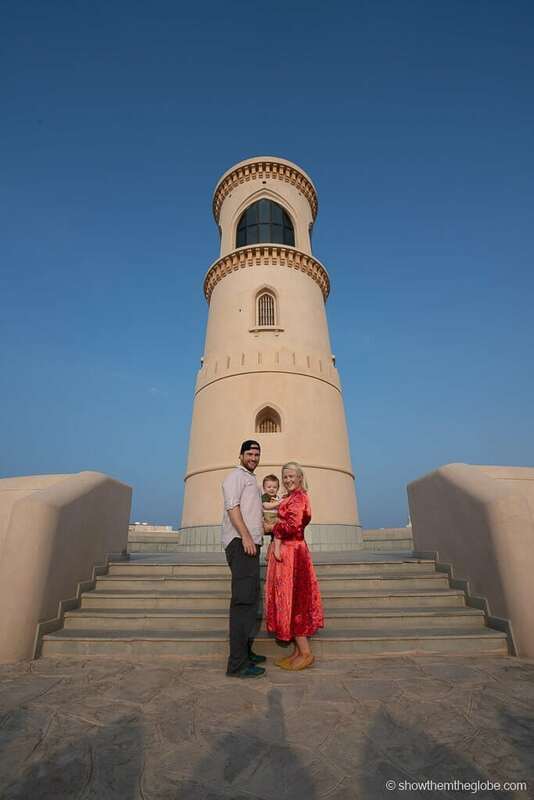 We explored the cities, beaches and scenic areas of Oman and have put together our recommended Oman with kids itinerary. From historic Muscat to the beauty of Jebel Shams to the natural wonders of the Ras Al Jinz turtle reserve and the Bimmah Sinkhole, Oman is breathtaking and one of our favorite places to visit in the Middle East. 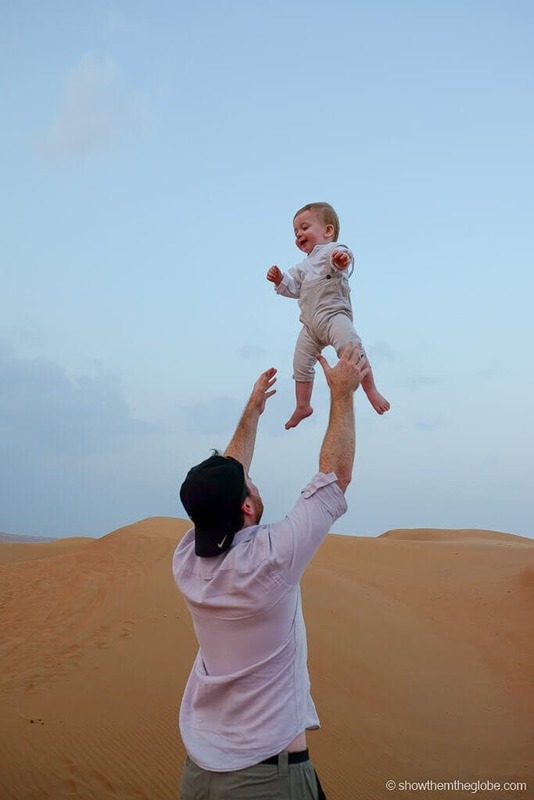 For those of you planning your own Oman with kids itinerary, we wanted to share our Oman travel guide including the best things to do in Oman with kids! The convenience operating to your own schedule makes renting a car by far the easiest way to get around Oman with kids in tow. Oman has excellent roads and good driving standards and is perfect for a road trip. We followed a circular route starting and ending in Muscat, Oman’s capital city and the point of arrival and departure for most Oman travelers. Hiring a private drivers is the most popular alternative to self driving in Oman. We recommend budgeting 10 nights to explore Oman at a leisurely pace. This will allow you enough time to visit all the major sights, from Muscat to the Al Hajdar mountains and the many beautiful Wadis as well as the unmissable Wahiba Sands desert. Our route can be completed in as little as 7 days, however, a one week visit won’t leave much space for downtime. 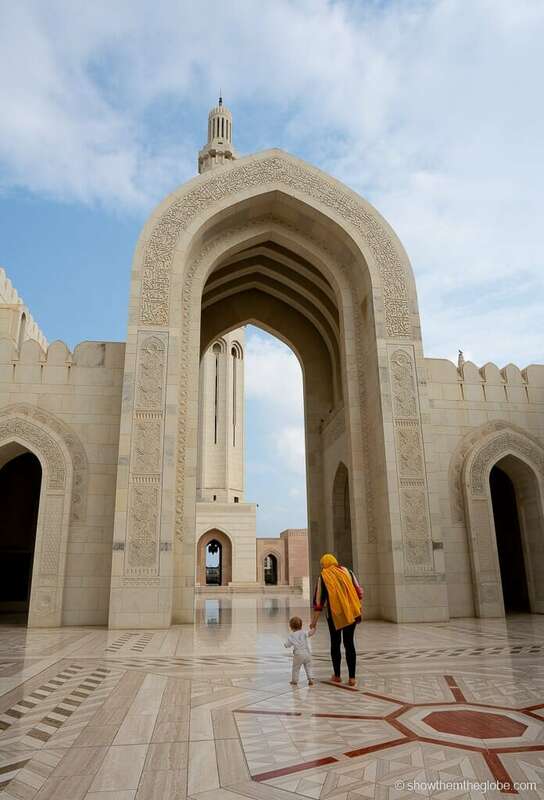 Oman itinerary tip: Sometimes, with kids, it can be easier to choose a base and take daytrips: you can either base yourself in Muscat for 5 to 6 nights of this itinerary and visit many of the places via day trips, or you can move around the country, spending a few nights in each area. 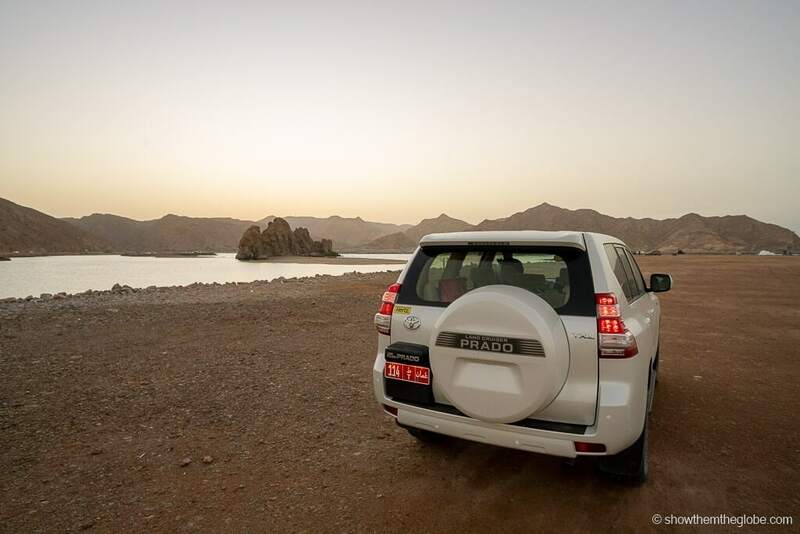 Most visitors to Oman either pick up a rental car and self-drive or use a private driver to drive them around. Oman is by far one of the easiest countries we’ve rented and driven a car in and we highly recommend renting a car if you are comfortable driving. The roads are high-quality, driving standards are generally good and fuel is extremely cheap (compared to the UK and Ireland anyway!). We rented a 4x4. While this option is a little more expensive, having a 4x4 allows for a more comfortable journey and it gives more options for exploring. In particular, a 4x4 is recommended to access Wahiba Sands (regular cars can get stuck in the sand) and for the Jebel Akbar and Jebel Shams mountain ranges. As of 1 March 2018, car seats are mandatory for children under 4 in Oman. 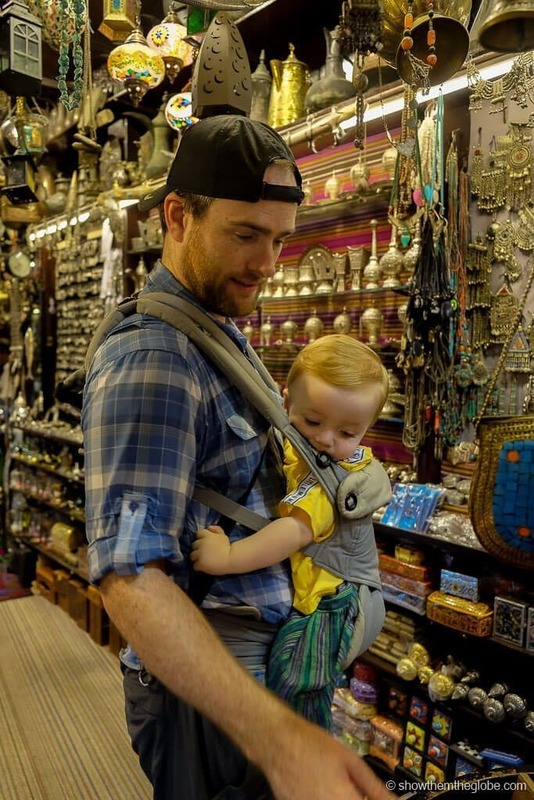 Oman with kids itinerary tip: we always travel with our own car seats as we know they meet our safety requirements. As most airlines allow a car seat to be checked as a free item, it’s also extremely cost effective to bring our own car seats along. Click here for the best rental car prices! 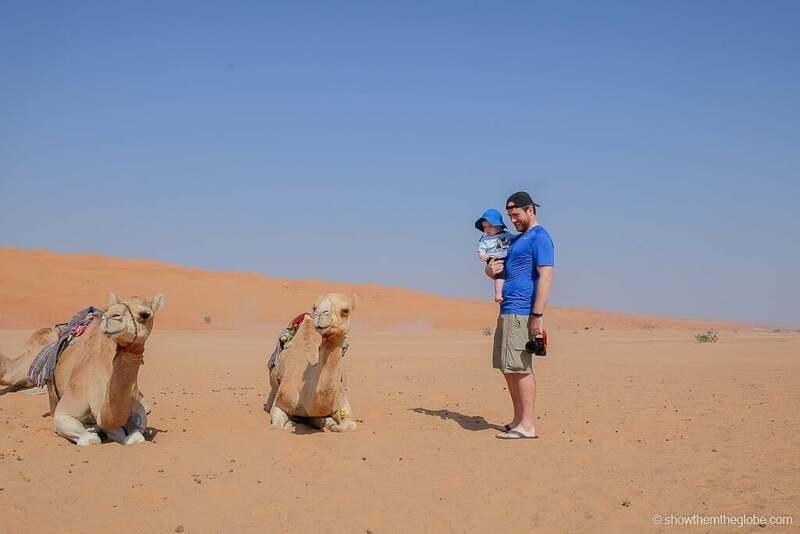 When visiting Oman with kids it is best to plan your visit to coincide with the cooler months! 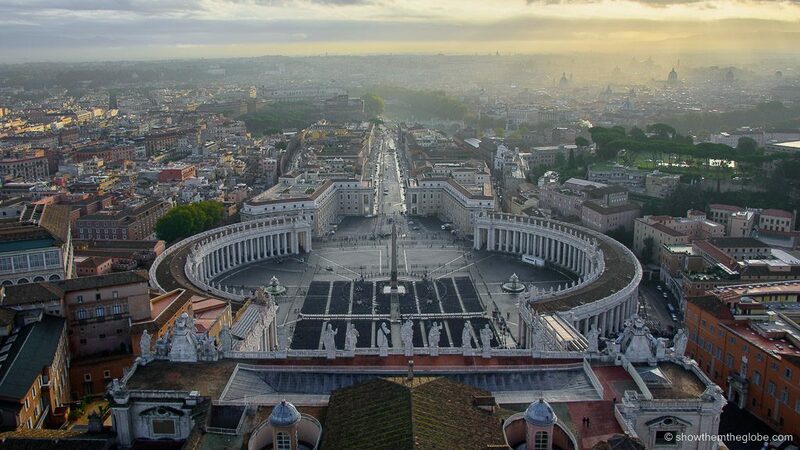 During the summer, temperatures can reach almost 50°C making sightseeing very difficult. Oman itinerary tip: We visited Oman at the end of October and the temperatures were a pleasant 30°C during the day. We planned our hikes and outdoor activities for first thing in the morning. We relaxed in the afternoons during the peak midday temperatures. 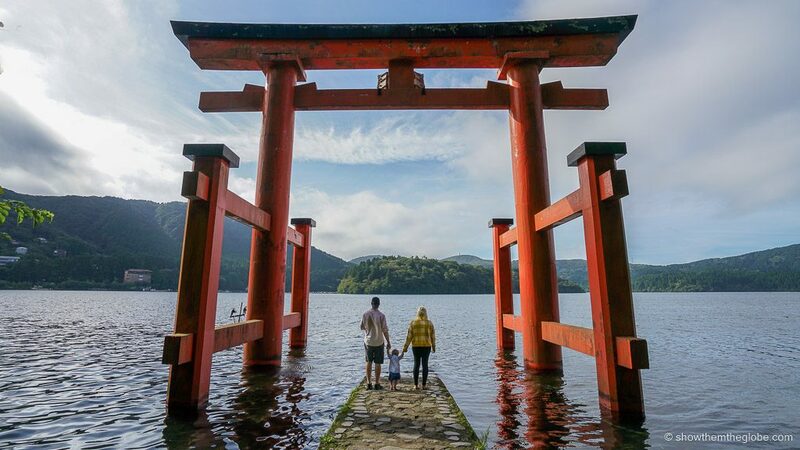 As with most countries, having mobile data during a trip is invaluable. We used it for navigation and research as well as providing some emergency in-car entertainment to amuse the kids when required!. There are lots of options on arrival at Muscat Airport – we picked up an Omantel data only sim card and had good reception throughout most of the country. Oman Itinerary tip: Google maps turn by turn navigation doesn’t work in Oman. We used Waze, a great alternative and very useful for avoiding traffic delays in Muscat. We’ve outlined our day to day Oman with kids itinerary as a starting point for planning your own Oman experience. Oman’s capital city really surprised us with the wide variety of things to see and do. After arriving at Muscat Airport we recommend spending the next two nights in Oman. This will allow you to see the main sights and to enjoy everything that this beautiful coastal city has to offer. There are many great accommodation options in Muscat and, although the focus is on high-end luxury, it’s possible to find hotels to fit any budget. Shangri-La Barr Al Jissah, Al Waha Hotel – one of Oman’s most family friendly resorts with both a kids club and an adventure zone, a children’s pool and a lazy river. There’s also mini golf, a games room and camel rides! Kids over 4 can attend the kids club while under 4s are welcome but need to be accompanied by an adult – check prices now! Kempinski Hotel Muscat –located close to the airport and along Muscat’s beautiful coastline, the Kempinski is a relatively recent addition to the Muscat hotel scene. Kids over 4 can attend the kids club while under 4s are welcome but need to be accompanied by an adult – check prices now! Grand Hyatt Muscat – great resort with lovely pools, a lazy river and beach access – check prices now. Day 1 is an introduction to some of Muscat, and Oman’s, finest sights with visits to the Sultan Qaboos Grand Mosque, the Muttrah Corniche and the Muttrah Souk. The stunning Sultan Qaboos Grand Mosque is a Muscat highlight, so much so that we visited it twice! The magnificent mosque is an incredible example of modern Islamic architecture. It was completed in 2001 and the beautiful building dominates the Muscat skyline. The grounds of the mosque are stunning but it is the interior of that steals the show. The main prayer hall has a huge intricate prayer rug which reportedly took 600 women four years to weave, and a beautiful chandelier with ornate detailing on the roof. 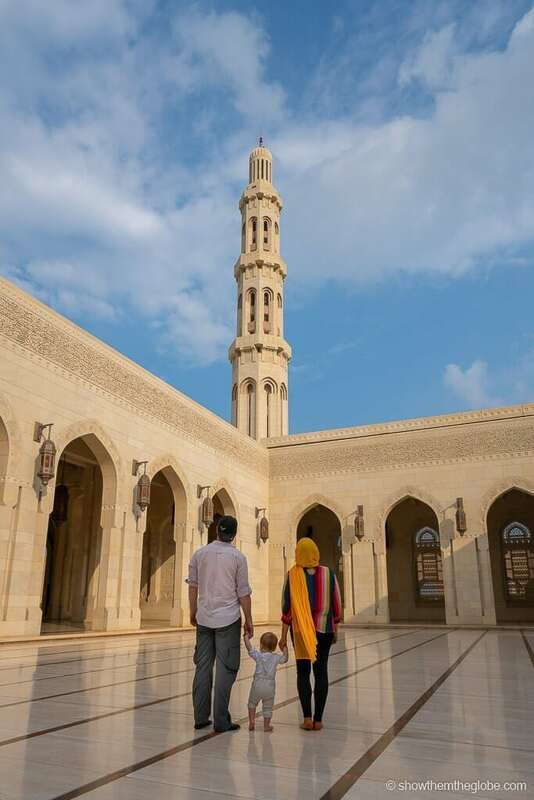 Oman with kids itinerary tip: Non Muslims are welcome to enter the mosque between 8am and 11am from Saturday to Thursday. Due to the restricted hours the mosque tends to get extremely busy from 9.30am to 11.00am. Plan at least 1 to 2 hours to really enjoy the mosque and arrive early to avoid the crowds. Children under 10 are not permitted to enter the main prayer hall so we took turns at visiting although we have heard reports that the rule is applied sporadically. The Sultan Qaboos Grand Mosque has a strict dress code which needs to be adhered to. Women must have their hair covered and clothes must reach the wrist and ankle. They were very strict about enforcing this and headscarves and robes are available to rent at the entrance. Men must also cover their arms and legs. J wore dungarees and a long-sleeved t-shirt although children under 10 seemed to be exempt from the dress code. 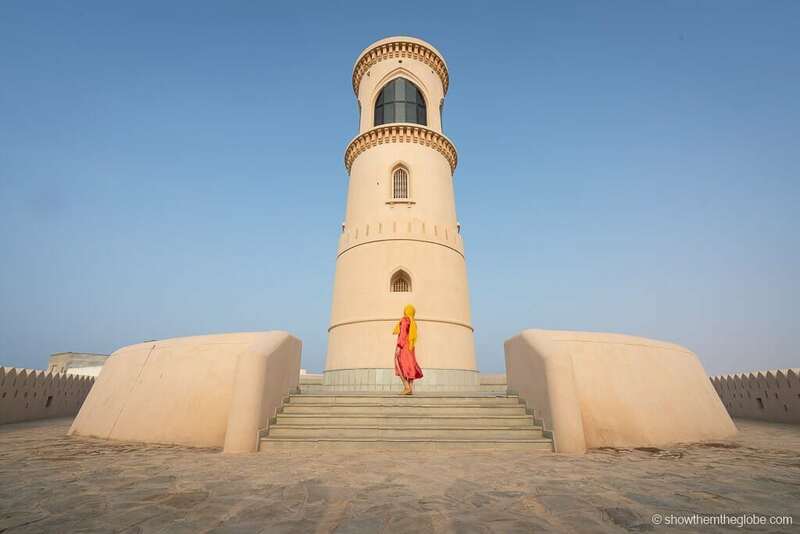 Oman with kids itinerary tip: visitor attire is checked upon entry. If your chosen outfit is not acceptable you will be directed to the entrance and advised to rent suitable clothing before being allowed to enter. After the early morning start, relax at your hotel during the hottest part of the day. The temperatures can get very hot so try to aim to be indoors or near a swimming pool/your hotel. 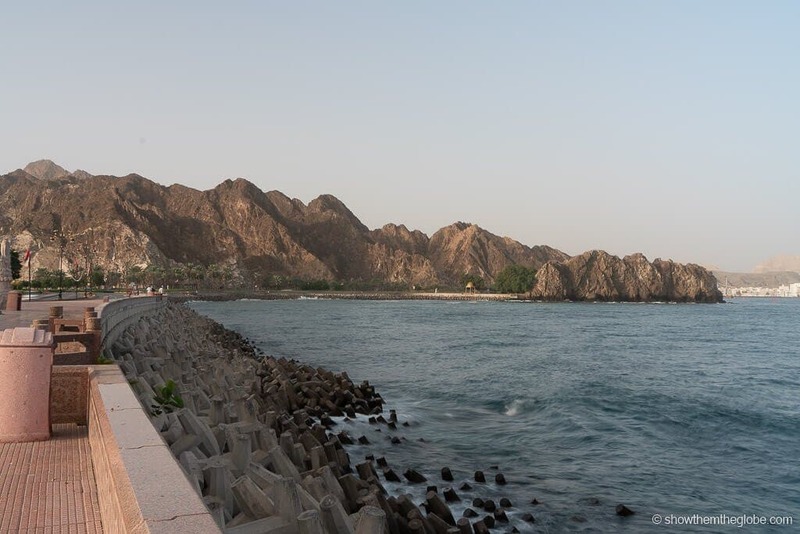 As the temperatures cool in the afternoon, take a stroll along the Muttrah Corniche promenade. The corniche is beautiful in the late afternoon and is often crowded with locals and tourists enjoying the cooler evening air. Make sure to look out for the magnificent incense burner monument on the hill by the sea. After a stroll along the corniche, prepare to haggle at the Muttrah Souk, one of the oldest Arabian markets in the world. It’s easy to get lost in the narrow streets of the ancient souk, where everything from gold and incense to fridge magnets are sold. Kids clothing is also popular in the stores in the souk. Oman’s most famous wadi, Wadi Sha boasts beautiful turquoise pools, waterfalls and a spectacular cave finale. We debated visiting Wadi Shab with J as we were not sure how feasible it was to visit with kids. In the end we decided to give it a try and, after having completed the hike, we feel it is largely dependent on the age of the kids, their hiking experience and how well they take instruction regarding staying away from edges etc. If you have younger children who use a carrier then it’s relatively easy for them to join you at Wadi Shab. Older children who are comfortable with longer and more challenging hikes should also be fine if they have suitable clothing and footwear and have plenty of water and snacks. We’d recommend that you leave Wadi Shab off the itinerary if you have older toddlers and younger children who will struggle with the long walk and may be at danger with the open canyon sides along the hike. Oman with kids itinerary tip: Wadi Shab is an easy day trip from Muscat or, if you prefer, the Sama Wadi Shab Resort is a good option close by –check prices here! The entrance to Wadi Shab is a 2-hour drive south along the coast from Muscat and located just off the motorway. There is a dedicated car park at the entrance. Depending on water levels, visitors take a short boat ride (2 OMR return) across the Wadi to the start of the hike. The wadi involves a relatively strenuous hike which takes around one hour from the car park. We only recommend participating if you are in reasonably good fitness. It is recommended that you are a strong swimmer and can swim at least 100metres if you wish to swim through the cave at Wadi Shab. Plan an early morning start from Muscat to Wadi Shab. It’s worth dedicating a day to this trip as it’s an early start, a very long hike and in the heat, you will be very tired. There are limited facilities and cell phone coverage in the Wadi, so make sure to pack lots of water and some food as well as a wet-bag for your electronics. Wadi Shab is a very popular with tourists and locals at weekends so we recommend visiting on a weekday. Relax at your hotel that evening. check out the Oman Children’s Museum, a children’s science museum with interactive displays. Opening hours are quite restricted (Saturday to Thursday, 8am to 1:30pm) so make this a morning activity. take a dolphin tour from Muscat. Kids will love spotting the spinner and bottlenose dolphins that reside in the Muscat Waters. During migration season, it’s often possible to see humpback whales as well – book a dolphin tour here! explore one of Muscat’s huge malls which typically have shops, cinemas, restaurants and children’s play zones. The City Center in Al Seeb, Muscat Grand Mall and Oman Avenues Mall are all perfect spots to spend an afternoon. This is a more relaxed day with time to explore Old Muscat and the iconic Al Alam Palace in the morning followed by a visit the Shatti Al Qurum beach in the afternoon/evening. If you enjoy a sunset stroll, wrap up day 3 with a visit to a local favourite, Yitti beach. Located on a bay at the end of the Muttrah Corniche, Old Muscat is the original historic centre of Muscat and home to the ceremonial palace of the Sultan Qaboos of Oman, the monarch and head of state of Oman. The sleepy atmosphere of Old Muscat is interrupted only by the occasional group of tourists meandering through the streets. 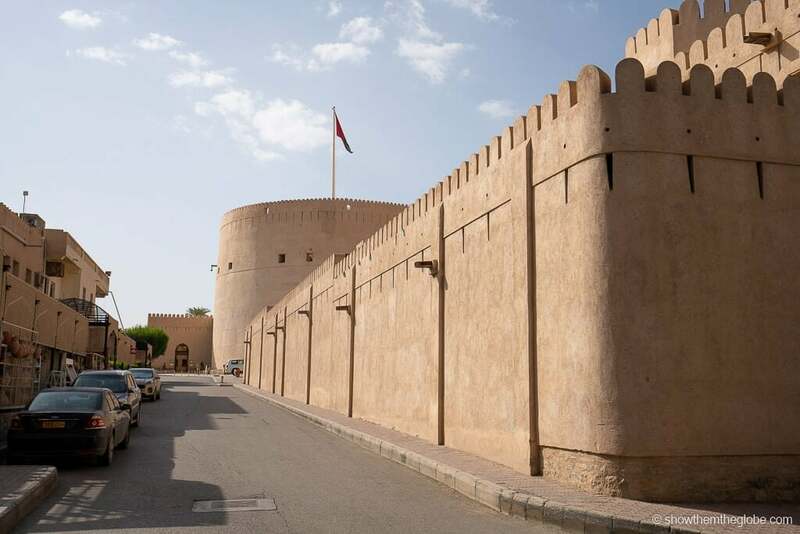 Highlights include three 16th Century forts built by the Portuguese, the old watchtower and the National Museum of Oman. Kids will love Shatti Al Qurum, a lively located in the center of Muscat. It’s a really popular spot with locals and a great place to relax in the evening. 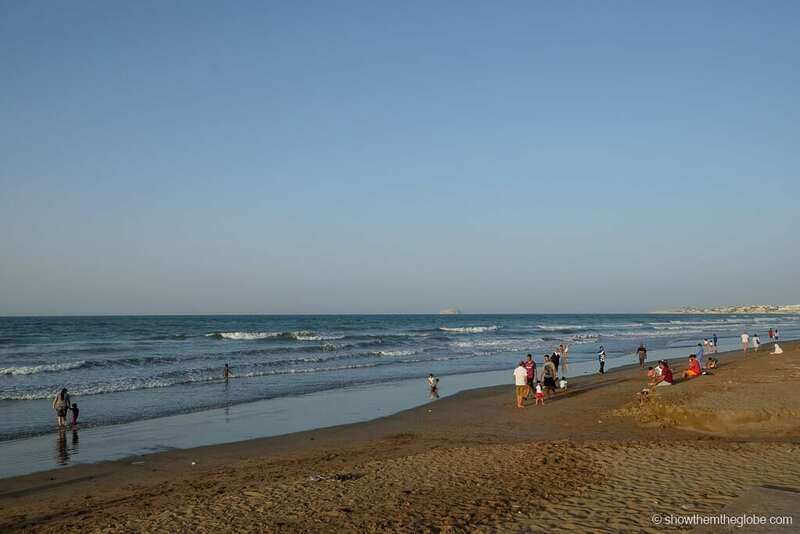 We highly recommend an early evening trip to the scenic Yitti Beach which is around 25 minutes south of Muscat. The drive along the coastal road is beautiful and watching the sunset at Yitti beach is popular with locals and tourists alike. Kids will love the novelty of driving onto the beach and gathering with the locals. 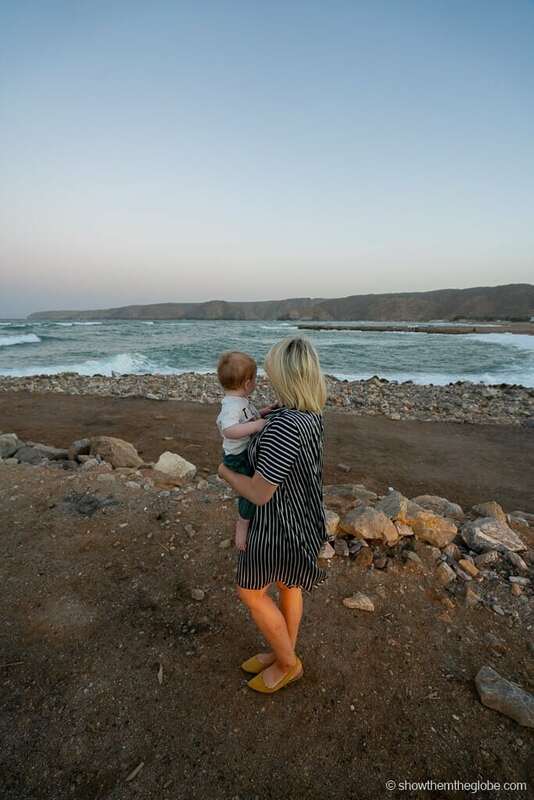 Oman with kids itinerary tip: Yitti is a popular camping and party spot at the weekends so we prefer to visit during the week. After a few days of exploring Muscat, we move inland to the mountainous region of Oman, an area that is jam-packed beautiful sights. Two nights is optimal to see most of the major sights while also allowing some down time to relax and enjoy the surroundings. 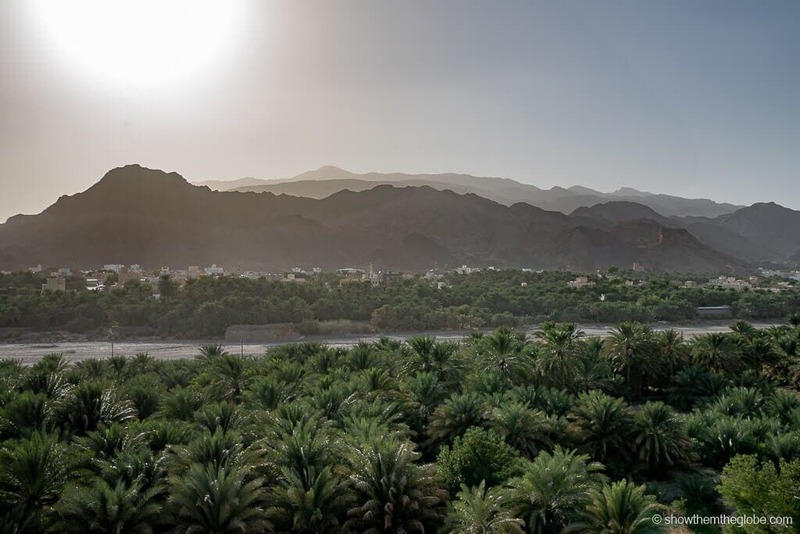 We recommend spending one night in Nizwa and a second in the stunning Al Hajar mountains. Nizwa Hotel Apartments– check prices now! Anantara Al Jabal Al Akhdar Resort– check prices now! Nizwa is the perfect base for both Nizwa itself and the Jebel Akhdar mountain range and most sights are reachable in less than an hour. One of the highlights of the area is the Nizwa Fort, one of the most popular tourist attractions in Oman, and the adjoining souq. Nizwa Fort itself is huge and can take a few hours to explore. 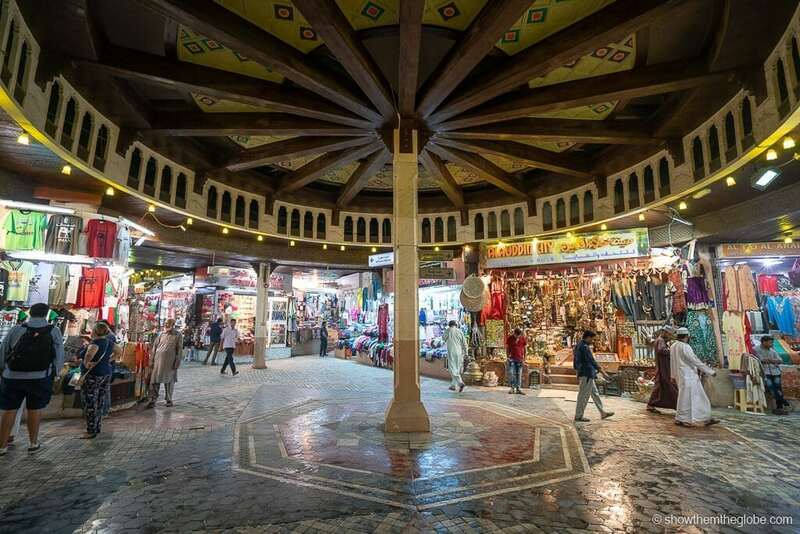 The souq shops have a huge range of random trinkets and souvenirs and are enjoyable to browse. Jibreen, or Jabreen, Castle is a beautifully restored castle located in the middle of a palm grove. The castle is definitely worth a stop when exploring around Nizwa. 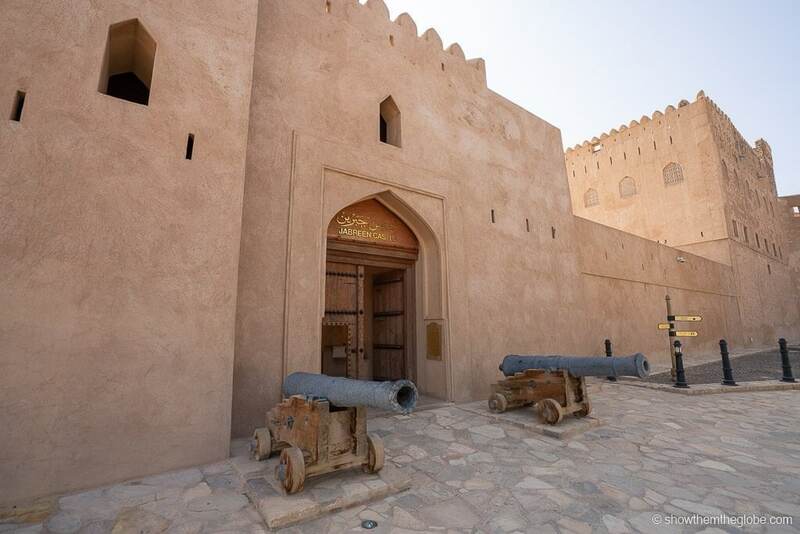 Bahla Fort is a UNESCO World Heritage site that was refurbished in 2012. There is limited information for visitors but the impressiveness of the site makes it worth a stop. If you’re feeling like a drive we highly recommend a trip to the Al Ayn Beehive Huts, a UNESCO World Heritage Site. The archaeological site of Al Ayn is part of a group of necropolises, alongside Bat and Al-Khutm, which form the UNESCO World Heritage site. 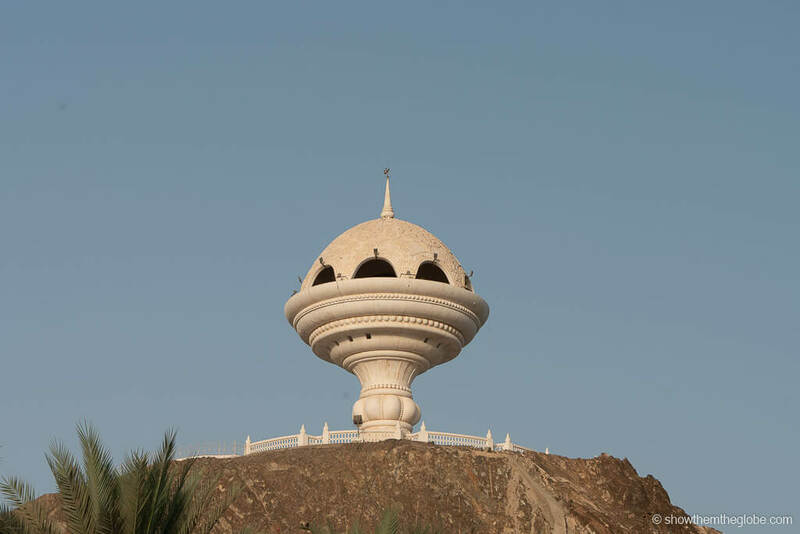 Al Ayn is the closest to Nizwa and the most impressively preserved of the three. The Al Ayn Site is nestled on a hilltop in a stunning setting with a mountain range in the background. It was one of our favourite places in Oman. There are two options for an overnight in the Al Hajar mountains: Jebel Shams and Jebel Akhdar. Jebel Shams is for the most adventurous, with a 4x4 car recommended in order to climb the mountain road to the summit. Jebel Akhdar is more easily reached and has better accommodation options, one of which is the spectacular Anantara Al Jabal Al Akhdar Resort. The views from this hotel are simply amazing and if you want to indulge on your night in the mountains, reserve a night in the resort! The hotel has an awesome kids club and offers some adventurous activities for little explorers. 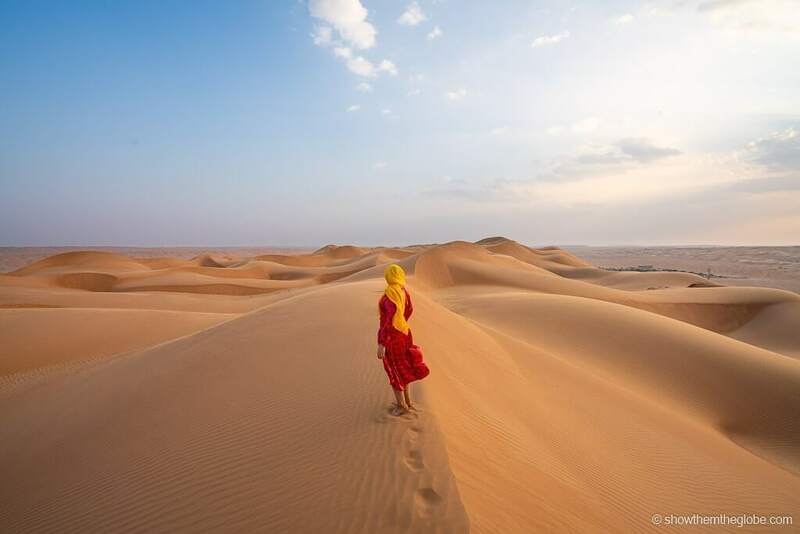 Most visitors to Oman wish to spend at least one night in the desert. Wahiba Sands is the closest desert to Muscat and Nizwa. It’s easily reached from Muscat or Nizwa in a few hours thanks to the new road that is almost fully complete. Although there were many amazing places in Oman, the highlight of our trip was the night in the desert. The sunset dune experience is a real bucket list experience and one we’ll never forget. 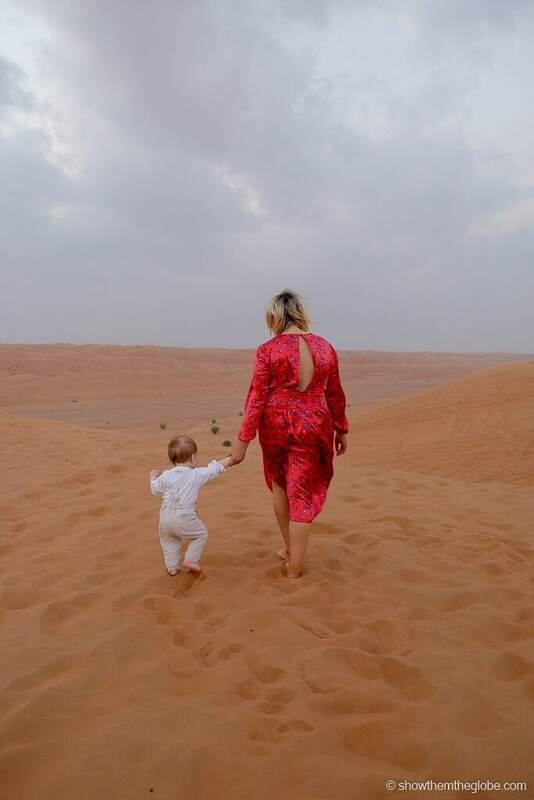 We encountered some concerned reactions at our plans to take J into the desert but we wouldn’t hesitate to visit Wahiba Sands with kids in tow. Our camp was kid friendly and wasn’t too remote if we had an emergency and needed to return to civilisation. 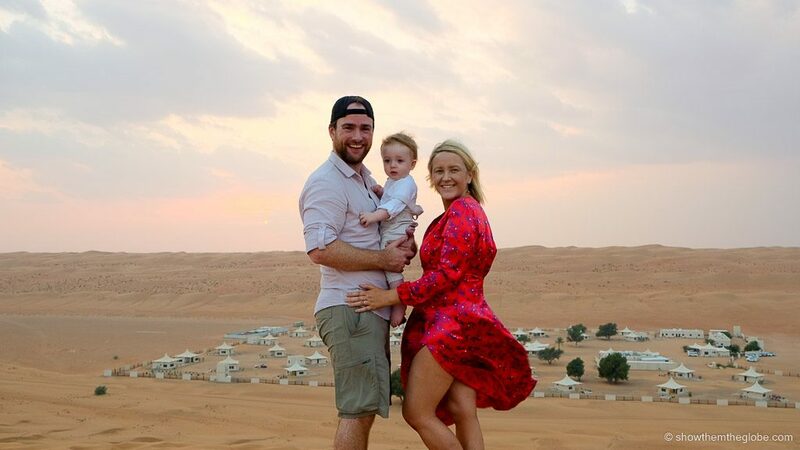 J loved soaring through the sand dunes, watching the resident camels and the evening sunset trip to the top of the dunes. For older kids there’s lots of adrenaline inducing activities including dune bashing and quad biking. 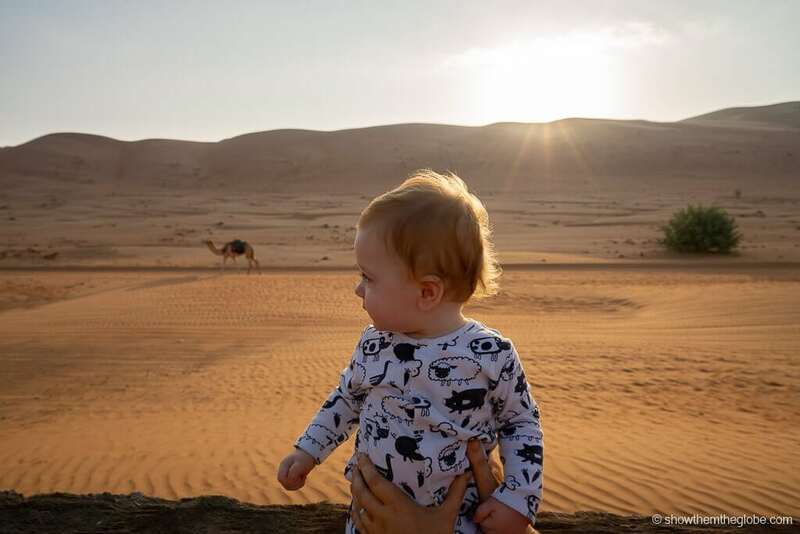 Oman with kids itinerary tip: To make the most of your time in the desert aim to arrive at the camp at around lunchtime as this will allow you to explore camp and relax for a few hours before sunset. Many of the camps offer additional activities such as camel riding, dune bashing, quad biking and dining experiences in the dunes. Dune bashing is one of the most fun, where expert guides take you on a rollercoaster drive through the dunes! Oman with kids Itinerary Tip: You will need a 4x4 vehicle with good road clearance to drive into Wahiba Sands. One you leave the main road and enter the desert the road is sand and is only accessible with a 4x4. We had a Toyota Landcruiser which was perfect when the sand got deep, however most hotels offer pickup from the main road if you don’t have a 4x4. Accommodation in Wahiba Sands consists mostly of small boutique camps. They range from basic Bedouin tented camps to more luxury options. Desert nights tend to come at a premium price but the experience is more than worth the splurge. We opted for the luxurious Desert Nights Camp resort and loved every second. Watching the sunset over Wahiba Sands dunes was breath-taking and truly a once in a lifetime experience. Desert Nights Camp– with 39 luxurious Bedouin-style tents and a fantastic on-site restaurant this was our pick for staying in Wahiba Sands.. Rates include a delicioius breakfast and an evening meal and the tents were beautiful. Our family tent was spacious and the kids playground was fun for younger kids – check prices now! Starwatching Private Camp– for those who want a truly authentic Bedouin experience try the Starwatching Private Camp. The camp comprises of just two tents and is set 25km from the road in the Wahiba Sands dunes. Kids are welcome – check prices now! 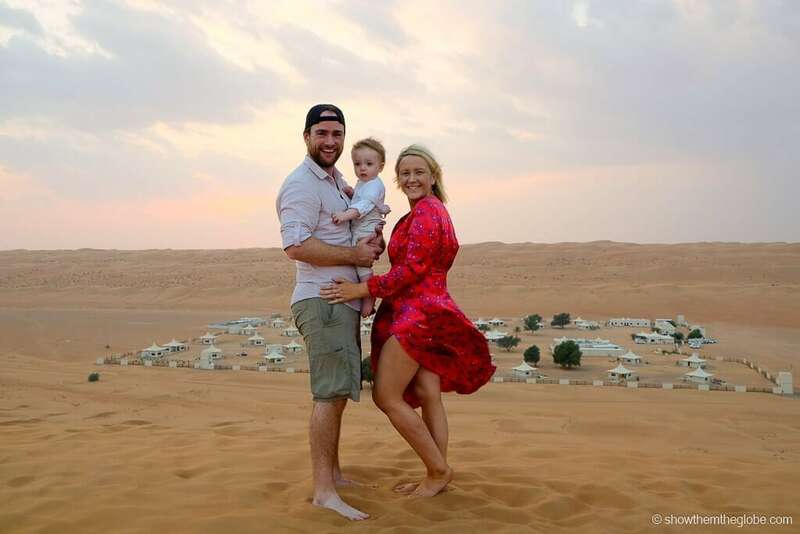 Arabian Oryx Camp– Located close to Desert Nights Camp, the Arabian Oryx is another great Wahiba Sands option which welcomes kids – check prices now! The drive from Whaiba Sands to Sur is relatively straight foward but make sure to allow time in the morning to visit one of Oman’s best-known Wadis, the Wadi Bani Khalid. 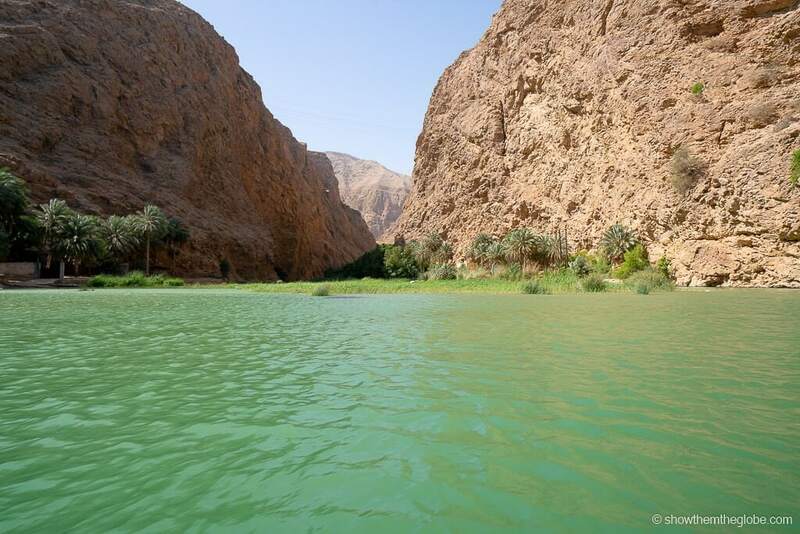 Wadi Bani Khalid is much more easily accessible than Wadi Shab, making it a great wadi to visit with kids. Wadi Bani Khalid is one of the best wadis for swimming in Oman and is a short detour off the road from Wahiba Sands to Sur. 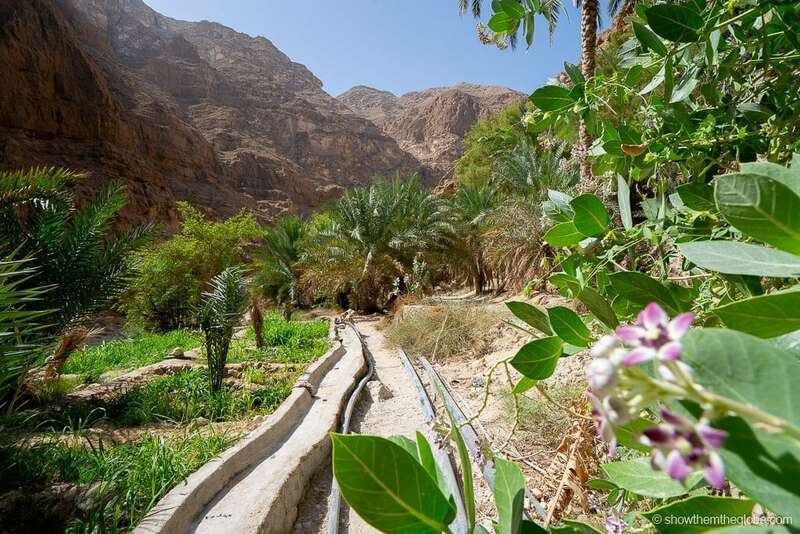 The wadi itself is a 10-minute walk from the car park and is a great place to sit back, relax and enjoy a swim in the cool waters on a hot Omani day. 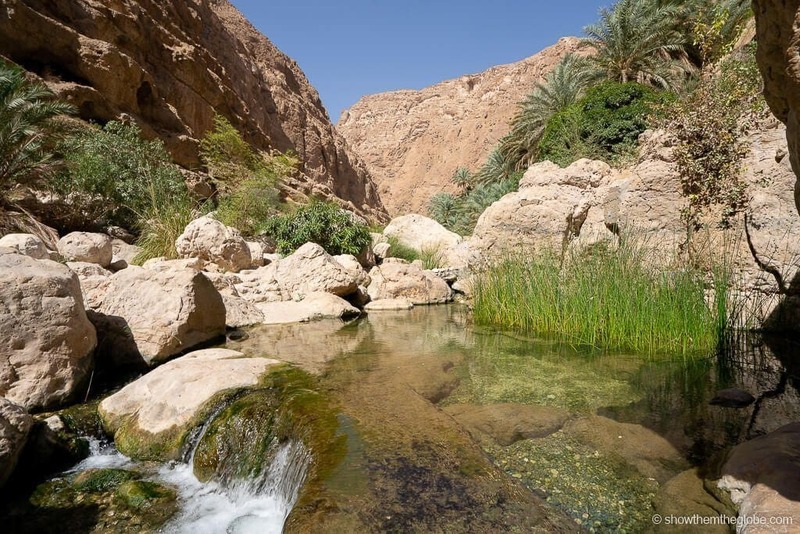 Wadi Bani Khalid is popular with locals and tourists alike and, as such, conservative swimwear is required – women should bring a top and shorts to cover swimsuits and bikinis. 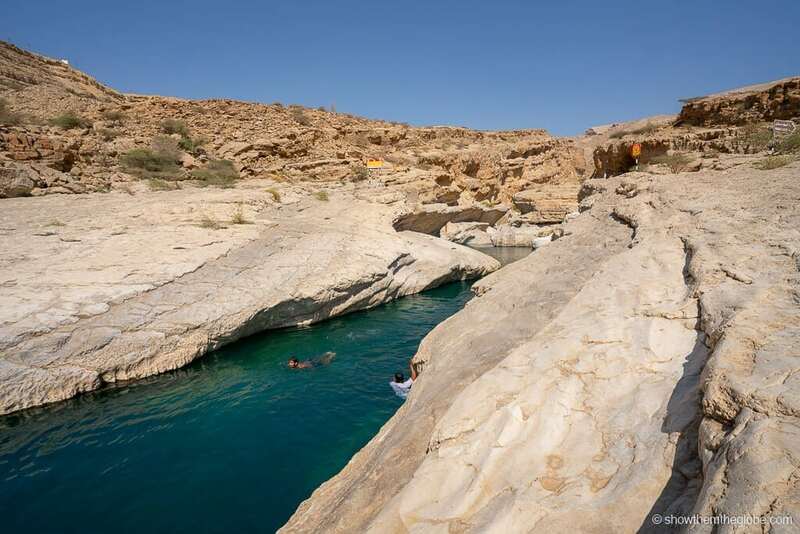 Oman with kids itinerary tip: Wadi Bani Khalid is very popular with families and there were lots of kids swimming in the wadi and jumping off the rocks into the water. 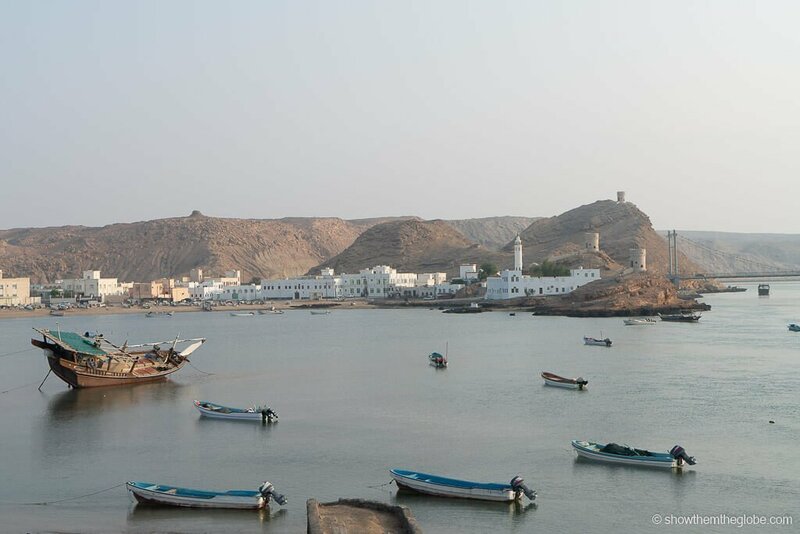 The coastal town of Sur is perfect for a stopover between the desert and the turtle reserve of Ras al Jinz. The town is still famous for its traditional dhow shipbuilding and the forts, corniche and Al Ayga Lighthouse are nice to see. Zaki Hotel Apartment –check prices now! Al Ayjah Plaza Hotel – check prices now! The Raz Al Jinz Turtle Reserve is the ultimate kid friendly activity in Oman. The Trurtle Reserve offers a once in a lifetime opportunity to witness the nesting of the endangered green turtle and Ras Al Jinz is world renowned. The reserve protects against human threats to the marine turtle population. There is onsite accommodation with turtle viewing included in the rate. Oman with kids itinerary tip: The best time see the turtle hatching is during the summer months, between May and September. Non-guests are also able to reserve tickets for the turtle hatching if you prefer to stay elsewhere. 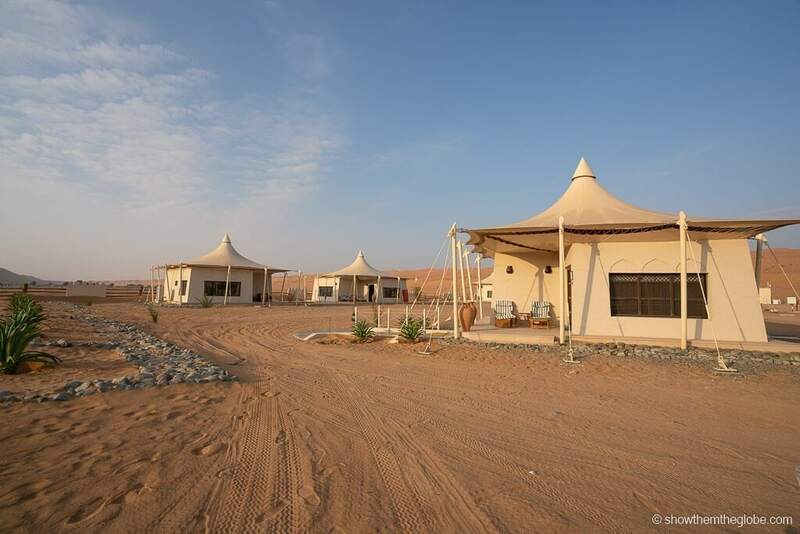 There are 31 rooms onsite at Ras al Jinz and rooms comprise a mix of standard rooms and luxury eco-tents, both with private bathrooms – check prices now! Having explored some of the best sights Oman has to offer, it’s time to return to Muscat with a stop at the UNESCO World Heritage site of Qalhat and the Bimmah Sinkhole en route! 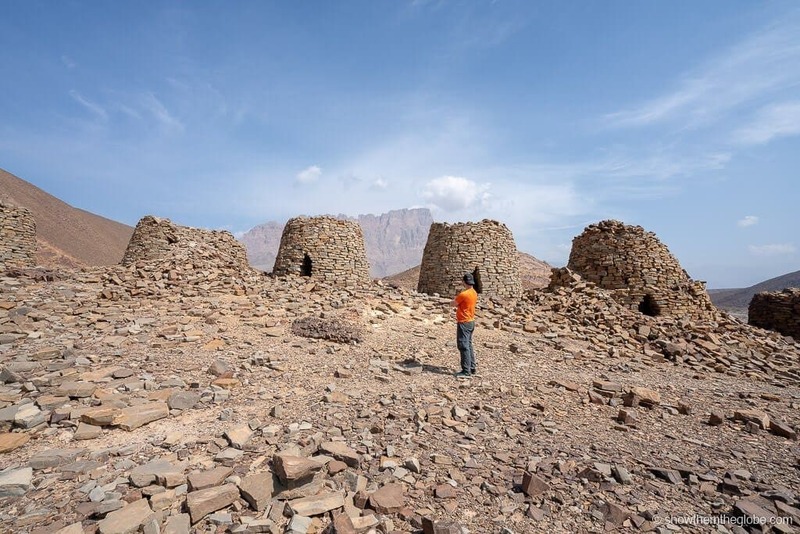 A 2018 addition to the UNESCO World Heritage list, the Qalhat settlement is one of the oldest sites in Oman. 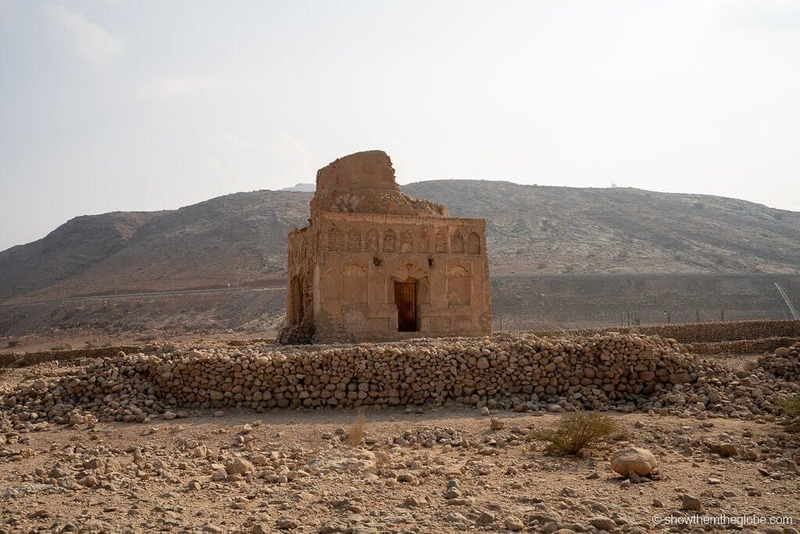 When we visited in November 2018, the site was relatively undeveloped but the ruins of Bibi Maryam’s Tomb are the stand out of Qalhat village. Kids will love exploring the ancient ruins. A short and flat walk from the car park, the Bimmah Sinkhole is a great place to visit with kids. The 30-metre deep Bimmah Sinkhole, located between Dibab and Bimmah, is a stunning natural wonder and its emerald waters are impossible to resist. There are nibbling fish in the water so expect a pedicure as you float! 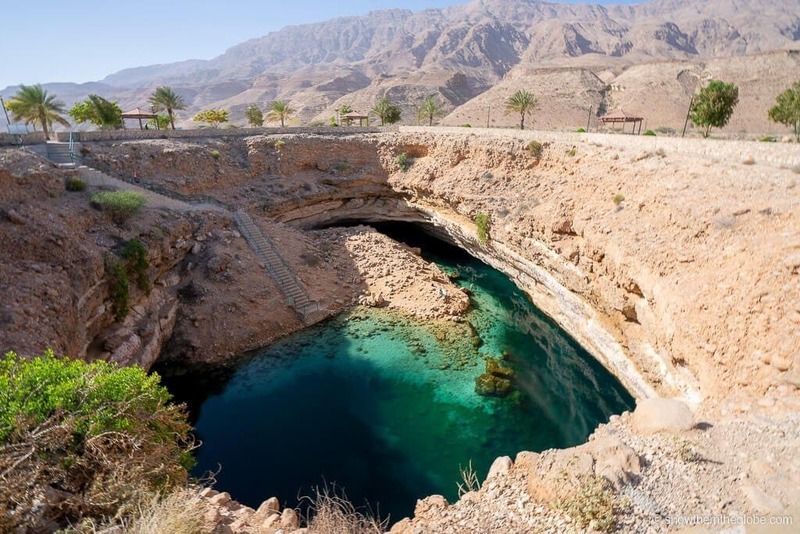 Oman with kids itinerary tip: the sinkhole is accessible via a concrete staircase and we cooled down with a swim. Day 10 is a day of leisure until it’s time for your flight from Muscat. If you have extra time, we recommend extending your Oman itinerary to include Salalah. Salahah is a short flight from Muscat. Leaving Oman with awesome memories!